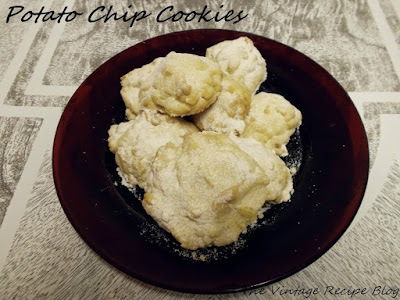 This is another recipe that comes from a 1920 Cookbook called "Recipes For Everyday" that was underwritten by Crisco. Naturally all the recipes involve crisco in the ingredients but in this case I can an least agree with it because I think that Crisco makes for a good cake and icing. 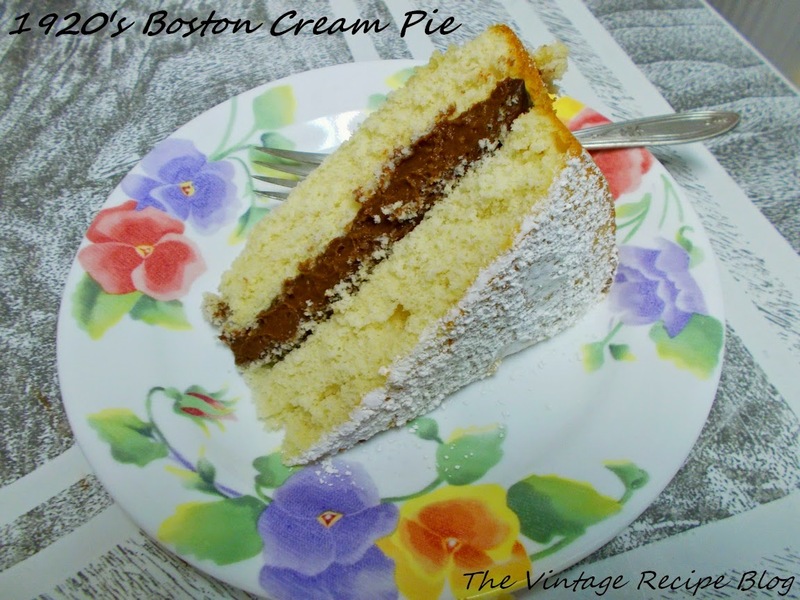 Now this recipe is already perplexing you as the picture runs counter to the usual Boston Cream Pie we are used to today, i.e. a yellow cake with custard filling and a chocolate ganache icing. 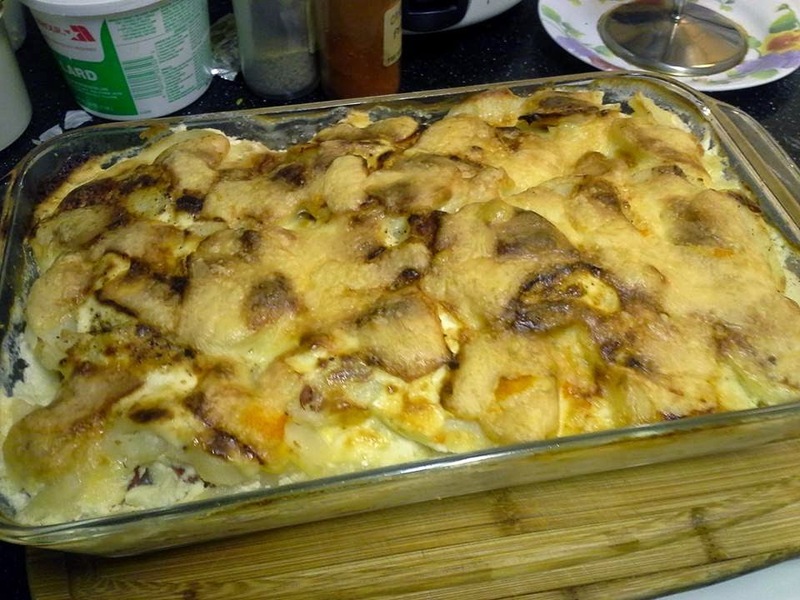 I thought that at first as well but after trying this recipe I think I like it better than what we are used to. Little girls don't want to be round and rosy today. They'd rather be thin like the girls that grace the pages of magazines but that is an impossible kind of beauty to achieve since it's all done with computers today. 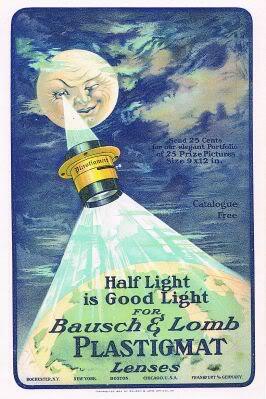 This ad is from 1919 when the world was well... certainly more innocent than it is today but having just gone through The Great War it certainly had lost the idyllic innocence of the pre war years. 100 years ago this year World War I started, the first but certainly not the last war to be started by an act of terrorism. This is a recipe I've used a couple of times. 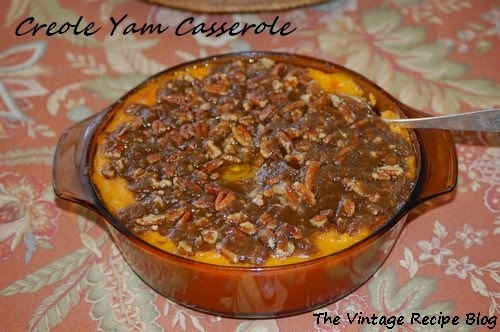 It's got many names and variations but I call it Creole because of the use of a praline pecan topping. Basically imagine it's a crustless sweet potato pie and it makes a nice sweet counterpart to the more savory items on a holiday table. This is a child's play set that would not fly today in the prevalence of PC attitudes. I find it a great item and believe it or not, I had a similar set to play doctor with in the 70's when I was growing up. My mother was a nurse and of course she encouraged anything to do with medicine. This set was a bit different however in that it actually contained candy pills... ugh those have definitely become as dead as the Dodo because little miss or jr might actually take a real pill by accident... kind of like how candy cigarettes have disappeared from shelves since it encourages smoking (and big tobacco said they weren't targeting kids). At any rate this wonderful cart includes "everything needed to pull the patient through until lunchtime"... well except for the ekg. And little Billy isn't left out since he has the Jr Doctor Case at his disposal. Now here's an interesting recipe. I'm not really sure of the history of these but they date back to at least the 40's and probably before. They originated in the Baltimore area with the Hutzler's Department Stores where they were sold at the lunch counter and bakery. When I was a kid growing up I remember that Heinz was the only "Ketchup" and everything else was "Catsup". You have to laugh just saying the word catsup, as it sounds like something a sick cat would produce. Since my grandparents were cheap frugal in a Great Depression sense they always had Del Monte Catsup on the table. Now I prefer Heinz, as do alot of people and I'm so happy they came out with the Simply Heinz line that has no HFCS in it. I don't usually do bread with dinner because of the time involved in kneading and proofing but this recipe is relatively easy and just needs less than an hour to bake. 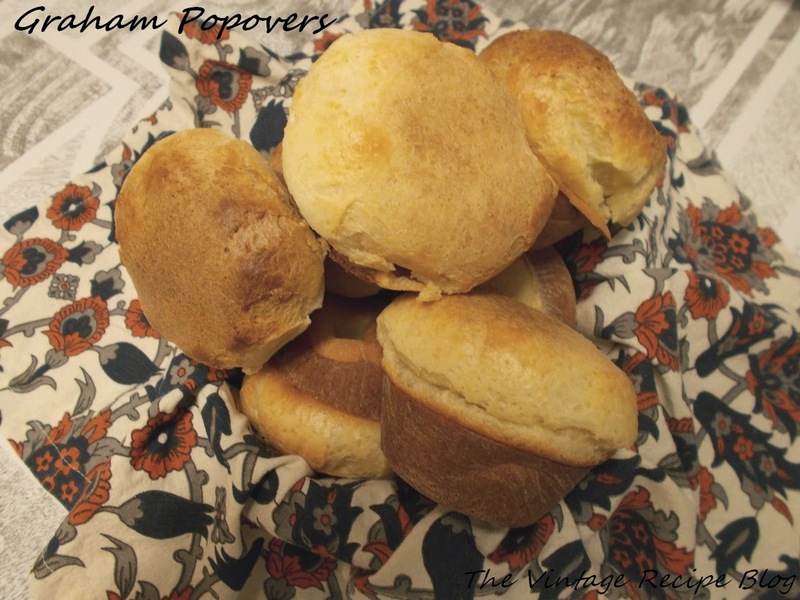 We all know about popovers, those lovely baked morsels with a hollow center just begging to be full of melting butter. Well this is a variation of that old recipe that I found in an old cookbook from 1920. These are mix of Graham Flour (White Whole Wheat) and all purpose flour and while they can of course be baked in popover pans, they do equally as well in a regular muffin tin as seen above. Ok, I know you're reading the title of this post and thinking "Has he lost his mind?" Well to be honest, I think I lost it years ago but I digress, the title has everything to do with the Ad above from 1934. In that year, America was still in the grip of a devastating Depression and Americans were looking for more ways to save money. Manufacturers took advantage of this trend to stress the quality of their products over the competition. 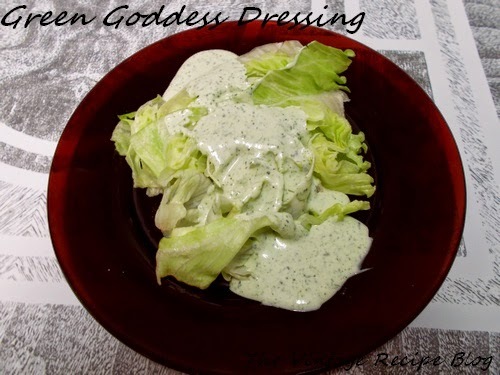 Green Goddess dressing can be traced back to 1923 when it was adapted from an original recipe dating back to the 1600's. It was created and named in honor of a play by the same name featuring the actor George Arliss and enjoyed a revival in popularity in the 1970's when the dressing maker 7 Seas re-introduced it to the American market. As with most things culinary it has been on a roller coaster ride of popularity tempered with indifference ever since. Man they don't do gift baskets like they used to. In this 1947 ad/order sheet, we can get the mother of all fruit baskets, a crate of goodies really, weighing 90lbs! Holy goobers that's alot of fruit! I guess they could afford to be generous back then because labor and fruit were cheap. Even the simple fruit basket, weighing in at a measly 27lbs, only costs $6. I can't even go to the store and buy 2lbs of fruit for $6 let alone a fruit basket today. Such is the march of inflation though. It's a sad fact of my life that when pouring over all the vintage ads that I do in search of something for the blog, I often run across ones with prices. 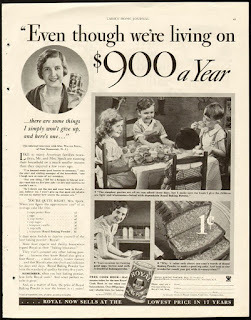 Ridiculously low prices compared to today, inflation is the culprit, slowly eating away at our wages and our fortunes. 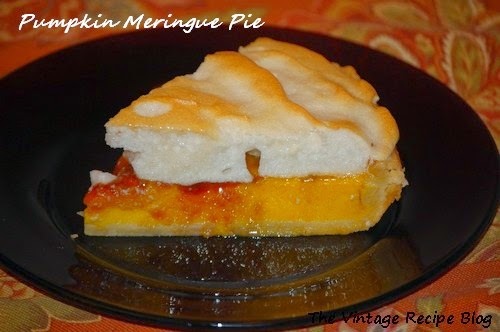 Pumpkin pie, what can be more traditional for Thanksgiving dessert than this? Once there were many recipes for pumpkin pie but then came Libbey's canned pumpkin and the one recipe to rule them all. I ate my fill of pumpkin pies made with the Libbey's recipe all my life and always wanted something different, something not covered in mounds of whipped cream and not as sweet. Then I stumbled upon this recipe, dating from 1920. Many pies we cover with whipped cream today were actually topped with meringue back in the early 1900's. 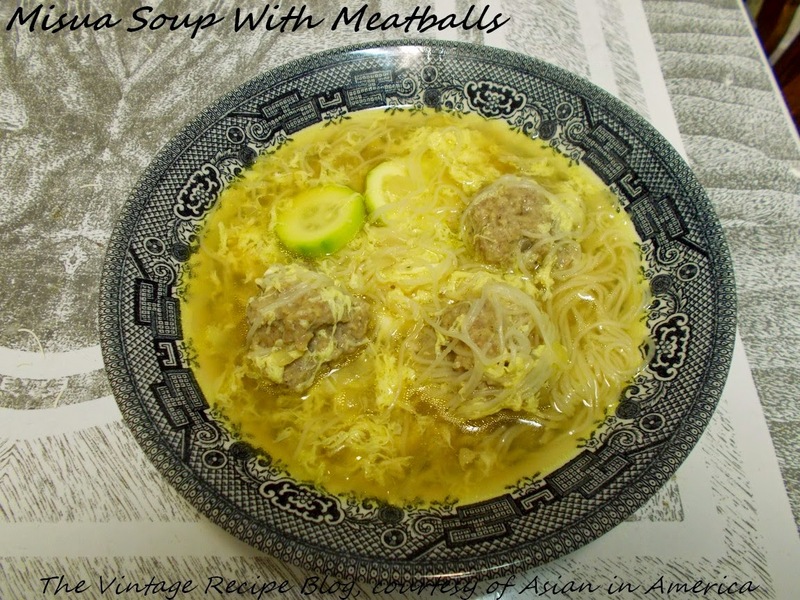 This recipe has been a huge winner with both me and my wife and even my family liked it. It's a little more involved than your typical pumpkin pie but the result is worth it. I get up early in the morning and make the crust from scratch then whip up the pie and have it baked and ready to go before I put the turkey in the oven. You can make your own pumpkin puree or use canned but here's something to think about, Libbey's pumpkin is actually a variety of butternut squash, not really pumpkin. Real pie pumpkin has a different texture and a slightly stronger taste. 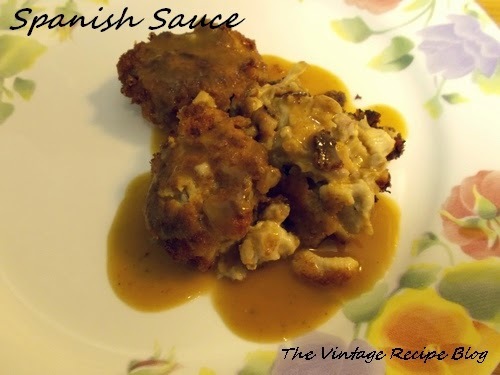 This recipe took first place in The Fresh Market's holiday recipe contest in 2014.